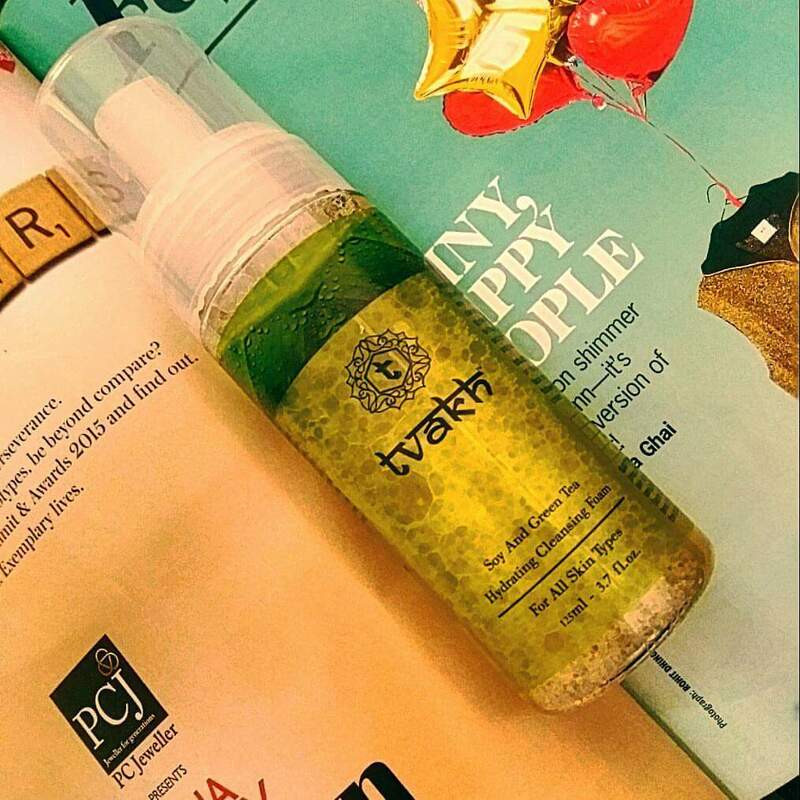 Tvakh Soy & Green Tea Hydrating Cleansing Foam !! Starting My Beautiful Journey Of Blogging Featuring Tvakh Soy & Green tea Hydrating Cleansing Foam !! ?Contains Aloe Leaf Juice Which Makes it More Mild & Promising.?
? It’s pleasingly removes dead skin cells, make-up, oil and dirt without over drying to leave your complexion clean, hydrated and refreshed.?
? This non irritating formula is infused with Organic Green Tea water that fights free radicals and boosts your skin with fresh dose of antioxidants, while Soy Lecithin, Daizy Flower ext and Organic Aloe Vera reinforce skin’s natural moisture barrier by maintaining the right pH balance.? ?No Parabens, No GMO, No Phthalates, No Petroleum oils, No Sulphates?
? Suitable For All Skin Types? ?Perfect Refreshment For Skin During Summers? ?Comes In A 125 ml Pump Bottle Which Retails for Rs. 395/- , though Budget Friendly Too? ?Usage : Pump A Small Amount & Apply on Damp Skin , Gently rub throughout the Face & neck.? I have Been using this Cleansing Foam From Past One Week & Really Impressed With The results !! Go Check Their Website For More Interesting Tvakh Products To Die For ! !